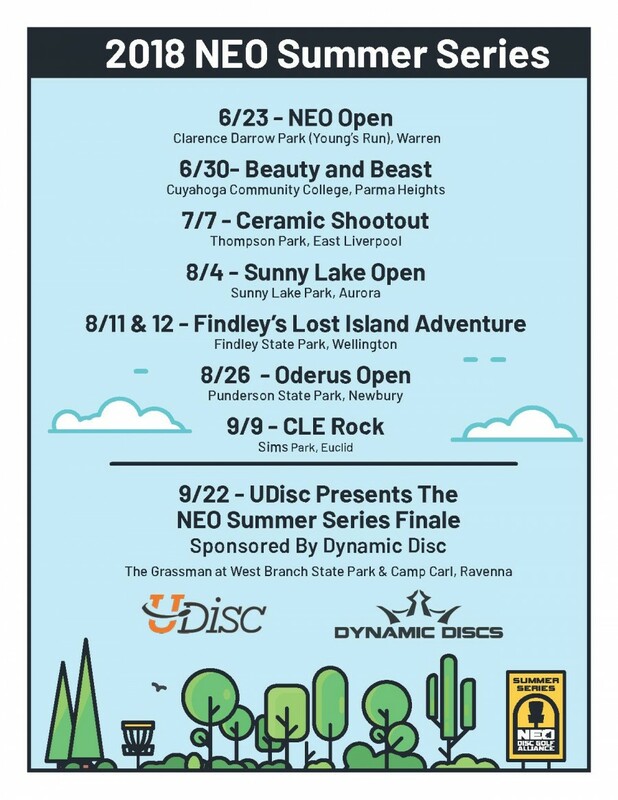 Home › Tournaments › Ohio › 2018 NEO OPEN "Driven by Innova"
2018 NEO OPEN "Driven by Innova"
Moving back to traditional format. 1st round will be 27 holes. 18 Holes at Young's Run + 9 Holes at Titan DGC (KSU-Trumbull). 2nd round will be 18 holes at Young's Run. 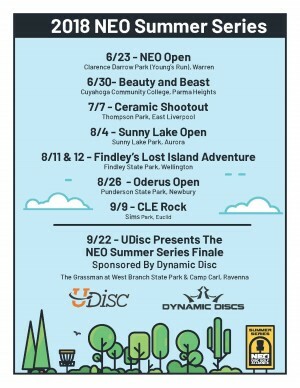 Event #4 of the NEODGA Summer Series. First 50 AMS will receive an Innova players pack. TEE ASSIGNMENTS. Mpo, Mp40, and Ma1 will play long tees - long baskets both rounds. Fpo, Ma40, Ma50, and Ma2 will play long tees - long baskets 1st round and custom mix layout 2nd round. Ma3 will play custom mix layout 1st round and short tees - short baskets 2nd round..
Trumbull County Disc Golf Associates is responsible for all refunds/cancelations.